Last week, WW wrote about three infrastructure projects Portland City Hall is pursuing in attempts to maintain its status as a bike town ("Breaking the Cycle," WW, April 10, 2019). One project adds more than 29 miles of bike lanes to Portland, primarily on the eastside. Two others—a $13 million bike bridge connecting the Lloyd District with Southeast and a $6 million pedestrian and bike bridge in Northwest Portland—specifically prioritize biking over driving. Here's what readers think. Kyle George, via Facebook: "We need car bridges and car roads. A bridge for silly Victorian transportation won't fix modern issues." Nicky Kohn, via Facebook: "BS. Fix the potholes!" JP, via wweek.com: "Why is bike infrastructure less important than infrastructure for motor vehicles? Last I checked, my commute to work (by bike) and the taxes I pay were just as real as those paid by people who drive." Peter Rasmussen, via Facebook: "This bridge won't help get a UPS driver and his packages across town. It won't help a contractor get his equipment and materials to a job site. Portland continues to ignore the need for a transportation system that supports commerce." Chris Anthony, via Facebook: "More infrastructure is great. Y'all just love to complain, huh?" Jmt1974, via Reddit: "At this point, I would settle for bike lanes that don't suddenly disappear or switch to the opposite side of the road." Chase McPeak, via Facebook: "Yet another waste of money that benefits a minuscule slice of the city's population." Cris Sohler, via Facebook: "Kinda funny how car owners are seriously acting fragile here. It's not like they don't feel like they own the road already." Kaylar Demon Child Newell, via Facebook: "All of you people offended by cyclists and insisting on more roads need to get off your damn high horse. As someone who was born and raised in this state, Portland is the only city with any amount of infrastructure that allows people to exist without cars." SumoSizeIt, via Reddit: "I have mixed feelings. 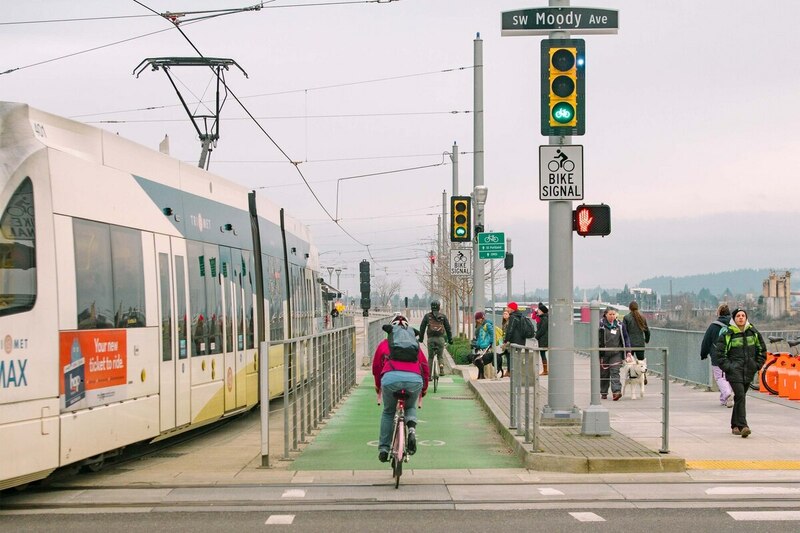 This will certainly see a lot of use, but at the same time, I don't even have a shoulder to ride or walk on and I live in Multnomah Village/Capitol Highway." Mark Bunch, via Facebook: "Very cool."